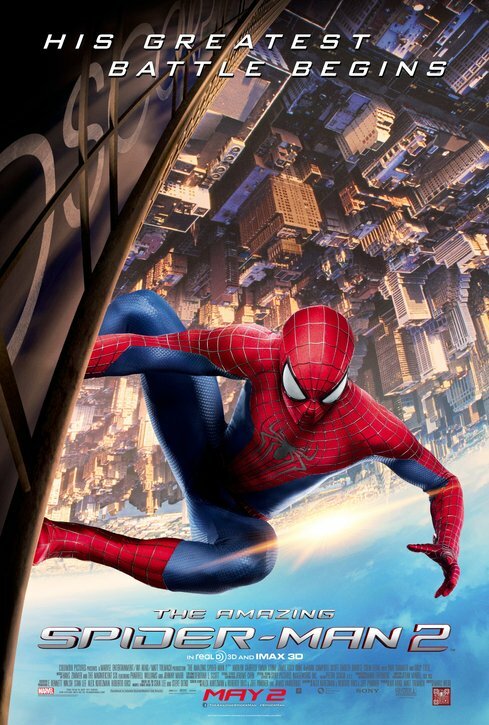 Watching The Amazing Spider-Man 2 was both a joyful and frustrating viewing experience. 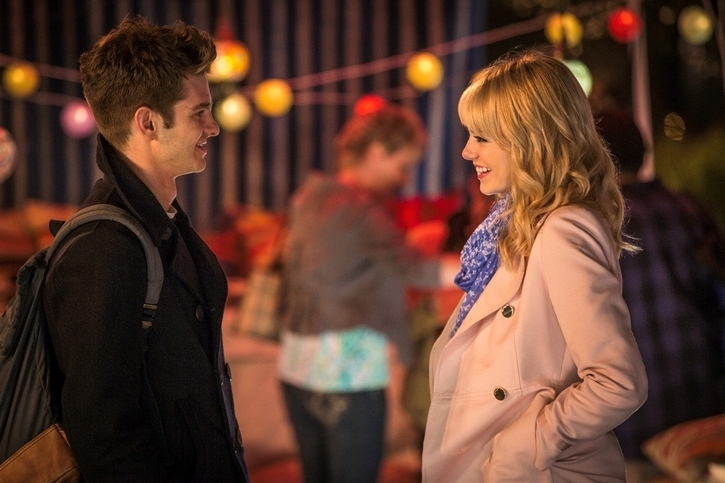 There is so much that the film gets right in terms of Peter Parker/Spider-Man (Andrew Garfield) and his girlfriend Gwen Stacy (Emma Stone). But sadly, this film is nearly derailed with so many flaws, namely the villains, the sloppy script and haphazard editing. The problem with The Amazing Spider-Man 2 is that it juggles too many plot points and the result is that not enough time is spent on any particular narrative. For instance, there is a Gwen Stacy sub-plot about her moving to England to attend Oxford that is buried under the film’s histrionic nature. There is an extraneous sup-plot about Peter’s parents with a payoff that is very underwhelming and could’ve been summed up in one or two scenes. Aunt May (Sally Field) is taking nursing courses while waitressing to make ends meet, but the only payoff to her arc is an all-too-brief scene with her at a hospital during a blackout. Meanwhile as that is happening, the film wastes time with needless scenes featuring two planes about to collide with each other during the blackout. That development didn’t have anything to do with Spider-Man and it comes off as unwarranted screen filler. The film just doesn’t flow smoothly, a whole bunch of eggs are thrown up in the air and it was up to the poor editor to catch them and try to make sense. A good example is the film’s opening that has an exciting car chase with Spider-Man. He is making his distinctive wisecracks and doing lithe acrobatics among several police cars and a hijacked armored truck. It’s classic Spider-Man stuff, bouncy, exciting and fun! Then suddenly the film cuts away to this nebbish Max Dillon (Jamie Foxx), who is so broadly clumsy and weird that all the excitement generated from the previous scene quickly dissipates. This happens throughout the film. Again the fault lies with the script written by Jeff Pinkner, Alex Kurtzman and Roberto Orci, the latter two being the now-infamous writing duo responsible for many flawed scripts in other genre works like Star Trek Into Darkness and Transformers. It’s as if they were given a directive to throw in all these plot points to ensure that Sony keeps the film rights to Spider-Man and his world and all else be damned. That leads to one underlying fault with The Amazing Spider-Man 2 and it has to do with cramming multiple villains into one film. In reality, only one villain has the spotlight and that is Electro a.k.a. Max Dillon. Yet the film shoehorns in Harry Osborn/Green Goblin (Dane DeHaan) and the Rhino (Paul Giamatti) in what are essentially cameo roles, especially with the Rhino. It does bring to mind Spider-Man 3 but at least there, Venom had more screen time than the other two villains in this film. The trouble is that Electro is one of the weakest villains seen in a superhero film and Harry’s story arc is more interesting than Electro’s. Jamie Foxx’s character is so over the top in his nerdiness that he seems more at home in the Joel Schumacher Batman movies from the ’90s. It’s like Foxx was trying to emote Jim Carrey’s Riddler performance from Batman Forever, but Dillon is so cartoony and unbelievable and not in synch with the rest of the characters. Then when he turns into Electro, his motivation is very vague. First he’s confused about what’s happened to him, then he’s dismayed that his idol Spider-Man is treating him like a criminal. After that for some reason he wants to take away the electricity from New York because he’s generally angry. Something like that. 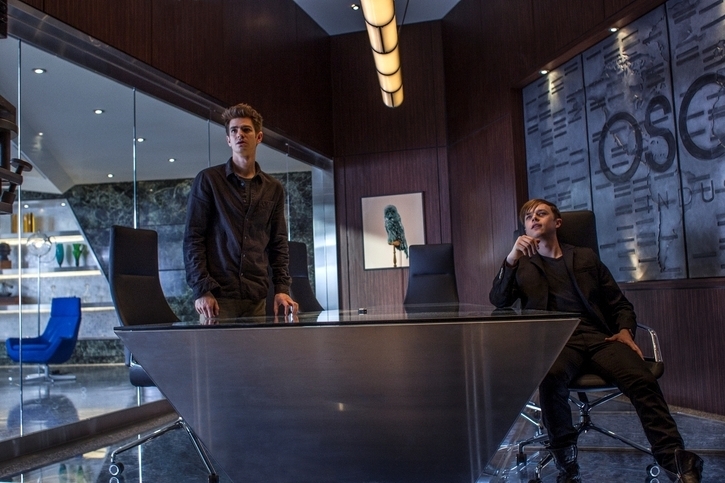 Dane DeHaan has a much better turn as Harry Osborn, but he can’t compare to James Franco’s version, who was more sympathetic and emotionally riddled. In Sam Raimi’s films, the friendship between Peter and Harry felt more natural and the earlier films had an advantage in that Harry’s descent into villainy was allowed to happen at a natural pace over more than one film. It didn’t feel forced as it happened in this latest Spider-Man film. The way Harry’s story was truncated was a major irritant. The same goes for Peter and Harry’s friendship this time out. Suddenly Harry pops up and Peter is best buds with him, then in their next scene together Harry is already acting unhinged. It just felt rushed and tacked on. 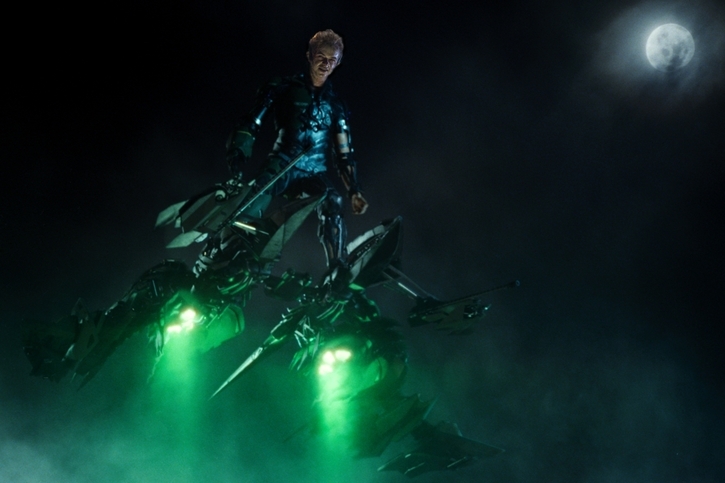 However, the new version of the Green Goblin had quite a presence for what little screen time he had and is leagues better than the Power Ranger version shown in Spider-Man. He is a much more interesting character than the one-note Electro, and the fight between him and Spider-Man brought much needed suspense and thrills since the fight felt more personal. The conclusion of the fight was a real gut punch and just illustrates what The Amazing Spider-Man 2 gets right. The best thing about the movie is first and foremost Andrew Garfield’s performance. This actor perfectly captures the essence of Peter Parker and Spider-Man. This is the quintessential version of the beloved superhero. Garfield perfectly emulates Spider-Man’s witty nature and Peter Parker’s angst without going overboard. His Peter is infectiously relatable and grounded and many of his scenes provide much needed humor. It’s a shame that he is saddled in this film and that Garfield may hang up his mask after the next film. He is in the same league as Robert Downey, Jr. and Christopher Reeve who portrayed the definitive versions of their superhero characters. Garfield has perfected who Spider-Man is down to how he moves and acts. The chemistry Garfield has with Emma Stone is purely magical. Stone has a beautiful presence and lights up the screen whenever she appears. Her scenes with Garfield showcase director Marc Webb’s skill in bringing out intensely emotional and nuanced performances from the actors. Garfield and Stone make a terrific couple and emote an amiable nature that is so endearing. Putting aside the romance which is probably Webb’s forte, the action in The Amazing Spider-Man 2 is unquestionably thrilling. Many scenes look like splash pages from comic books particularly when the film goes into slow motion. The use of the film technique is justified here since we get to relish many eye-popping effect shots and see how Spider-Man moves. For the most part, the effects and stunt work are exemplary, but at some times the use of CGI makes the movie look like a video game and stick out from the natural feel of the rest of the film. In addition to the effects, Hans Zimmer and the Magnificent Six composed the best score yet for these Spider-Man films. For once, the music perfectly matches and embellish Spider-Man and the tone of the film. 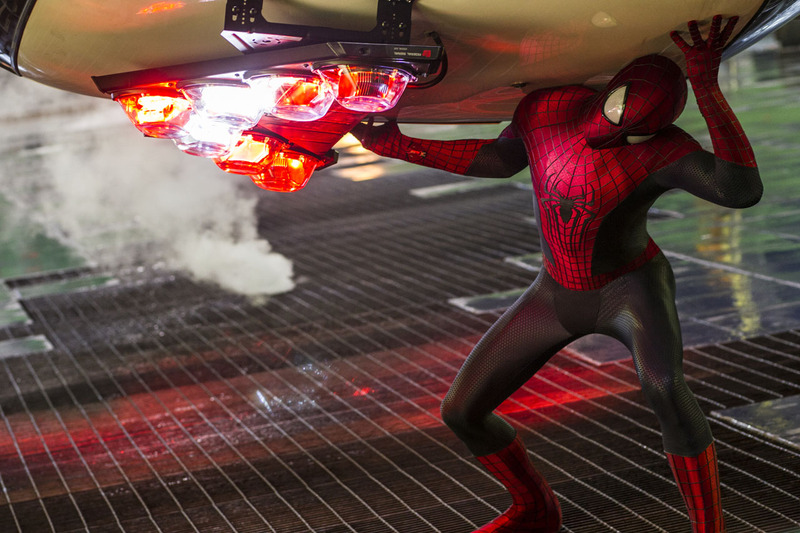 The Amazing Spider-Man 2 is definitely a mixed bag, which is disappointing. It’s not a terrible film but the stakes with these superhero films have been raised so high with the likes of The Dark Knight, The Avengers and Captain America: The Winter Soldier that this film falls short of those masterpieces. The bottom line is that despite its faults, it’s a generally enjoyable but messy summer film. By the way don’t bother sticking around for a post-credits scene. The only thing shown is clip from X-Men: Days Of Future Past that clearly doesn’t belong in this film and give the effect of watching the end credits of a TV show that shoves in scenes from another unrelated TV show. It’s a very crudely done marketing ploy and is systematic of the recent excessive marketing for many of these films.